An island wedding is the inspiration of a lifetime. Barbados has a magical magnetism for honeymooners. It can be as easy as saying "I Do". Barbados recently adopted new laws eliminating advance notice requirements to marry on the island. You can now marry on the day of your arrival. And official marriage ceremony can take place as soon as a license is obtained... and Barbados has streamlined the process eliminating waiting periods and facilitates the no-hassle wedding of your dreams. 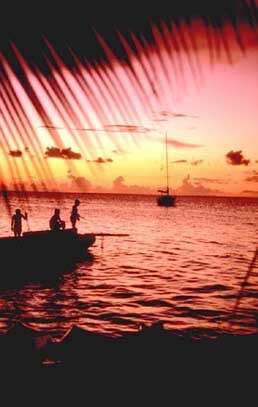 Barbados has a long tradition of hosting to newlyweds. There is a magical magnetism for honeymooners and in recent years it has also become one of the favorite wedding locations. There are limitless choices of scenic locations for the wedding that you may chose from. Wedding brokers are varied - and they can assist you in your plans. Or you may choose a hotel to assist you in planning your dream wedding. After the ceremony you can enjoy a holiday experience of a lifetime, with days of rest and romance. You have found your perfect mate, you have committed to love and to cherish, to have and to hold... so why not start it out enjoying endless white beaches, an aqua colored ocean, sunset cruises and the most perfect carefree wedding imaginable. To obtain a marriage license in Barbados, apply in person at the Ministry of Home Affairs, General Post Office Building in Bridgetown (246-437-3794). They are open Monday - Friday, 8:15 a.m. to 4:30 p.m. You must provide the following documents for each partner: A valid passport or the original or a certified copy of the applicant's birth certificate and a return airline ticket; If either party was married previously and/or widowed, a copy of the previous marriage certificate and the deceased spouse's death certificate and/or divorce decree. Couples who wish a Roman Catholic ceremony must have: premarital inquiry completed and signed; baptismal certificates for both parties showing their freedom to marry; statement of freedom to marry signed by the couple's parish priest; certificate proving participation in a marriage preparation program; permission to marry or dispensation from disparity of cult issued by the bishop of the Catholic party, if only one member of th couple is Catholic; copies of applicable declarations of nullity or death certificates for previous marriages ending with spouse's death; and testimonial letters from the bishop. 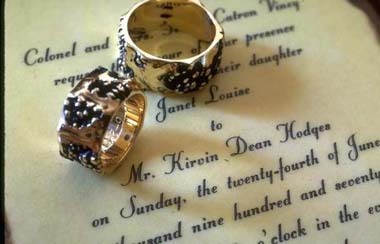 All documents must be sent by the couple's bishop to the bishop of Bridgetown before the ceremony. Civil requirements are simpler. The couple must obtain the license here in Barbados, and the couple must both be visitors and show proof of return air line ticket and both partners must present suitable identification.